Nestled near the shores of the Great Salt Lake within the shadows of the intrepid snow-capped Wasatch Range, you’ll find the beautiful community of Salt Lake City, UT. This vibrant metropolis attracts visitors from all around the world who are drawn to the region’s natural beauty, inspiring history, and welcoming population of nearly 200,000 citizens. If you’re a driver in search of a new 2019 VW Jetta for sale near Salt Lake City, look no further than Volkswagen SouthTowne. Continue reading our helpful guide to learn more! 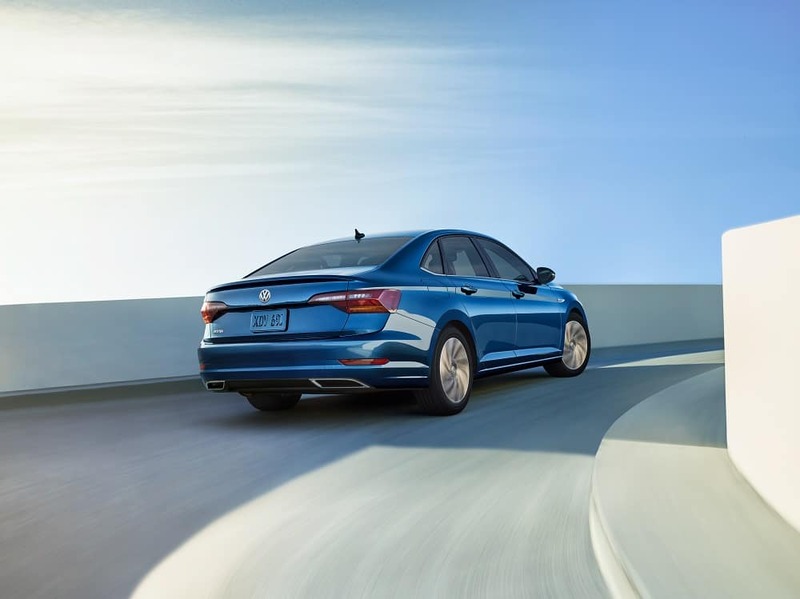 If you’re in the market for a sedan that offers precision engineering and is supremely fun to drive, you’ll love what the 2019 VW Jetta has to offer. Sturdier and more agile than past models, the 2019 VW Jetta offers a turbocharged 4-cylinder engine that produces 147 horsepower and 184 lb-ft of torque. Available features like Driving Mode Selection allow you to customize your driving experience between four distinct driving styles so that wherever you’re headed, the VW Jetta is up for the task. In terms of fuel efficiency, the 2019 VW Jetta performs exceedingly well with an EPA-estimated 30 city/40 highway/34 combined MPG1. Whether you’re running errands around town or heading out on a cross-country road trip, you’ll be spending more time on the open road and less time at the pump. The 2019 VW Jetta provides comfortable seating for up to five people with 94.7 cubic feet of passenger volume. Its smartly designed interior comes loaded with modern features like available BeatsAudio®, 8-inch touchscreen navigation system, and the Volkswagen Car-Net® App-Connect. Whether you’re leisurely cruising down the open desert highway or heading up the mountains for a weekend on the slopes, you’ll be reaching your destination in both comfort and style. Securing the right financing to fit your lifestyle is important, which is why our finance center is committed to providing you with a thorough overview of all your options. Our team of experts will take the time to go through the entire process with you and design a plan that best suits your lifestyle, ensuring that you can drive off our lot in your new 2019 VW Jetta in total confidence. If you’d like to get a head start on the process, simply fill out a financial application and we’ll get to work on securing you a range of available options. You can also use our helpful payment calculator to get a better idea of how a VW Jetta can fit into your monthly budget. If you’re hoping to trade in your current vehicle, receive an estimate on its current market value by using the value-your-trade tool. 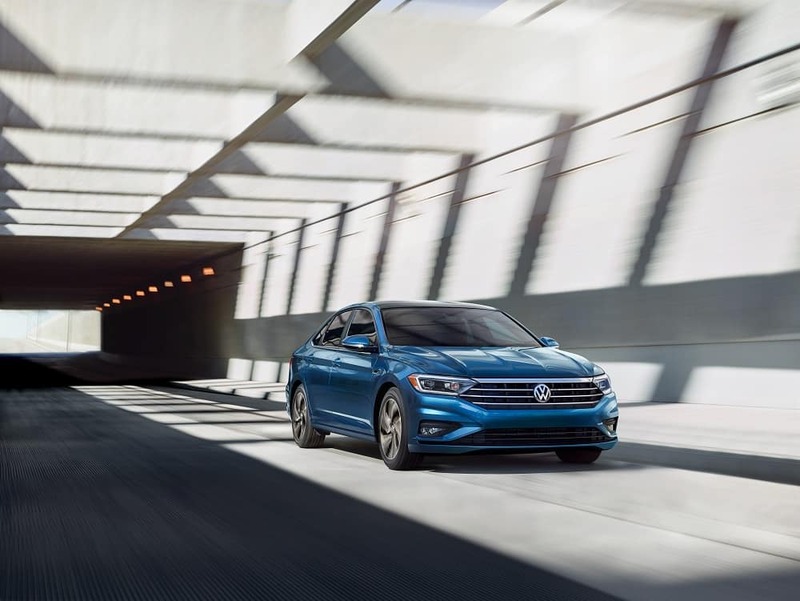 Test Drive the 2019 Volkswagen Jetta Today! At Volkswagen SouthTowne, we’re dedicated to helping drivers make the right choice on their next Volkswagen vehicle. If you’re still in search of a 2019 VW Jetta for sale near Salt Lake City, stop by our convenient location or schedule a test drive today! 1Based on EPA estimates. See www.fueleconomy.gov for details. Your mileage will vary and depends on several factors including your driving habits and vehicle condition.